You are also scooting from side to side and backwards when we put you on your belly. I have to watch what I leave around your play mat or it will somehow end up in your mouth. You also love to jump in your exersacuer and jumper! This month you have started giving kisses on purpose. Up until the past couple weeks, you always attacked my cheek with an "I want to eat your face" kind of look, but now you give sweet kisses in response to us kissing you on the cheek. It's so stinking sweet! The best part is the proud look on your face after you give me a smooch. You are sitting up much better but still don't have the balance for us to leave you without some kind of support. You definitely like to see what's going on! 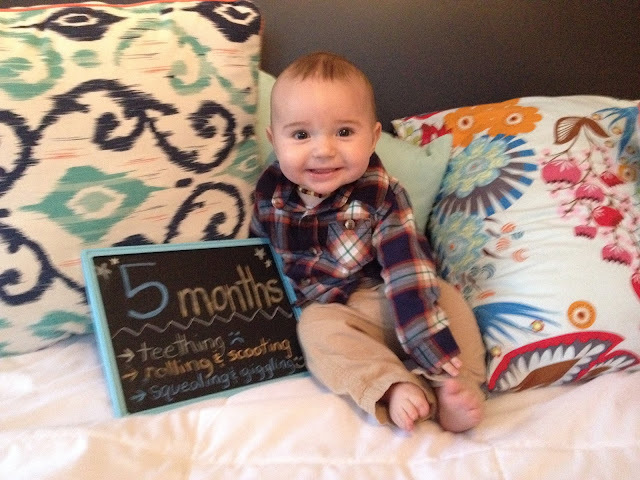 You are fitting well in your 9 month clothes and moving up to size 12 month in onsies and full body outfits. Part of that is due to the bulk of cloth diapers as well. Those things can take up a couple of inches! We have an ultrasound this week to see how your kidney is functioning and we will know more after that. My prayer is for complete healing and no more ultrasounds! This month found us snowed in quite a few days. 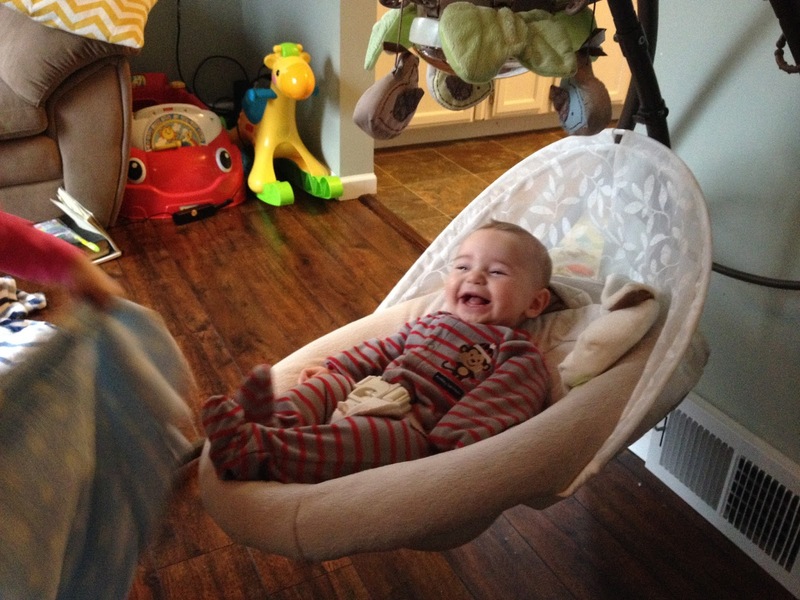 What better to do on a snowy day than use the baby for entertainment, right? Here are some photos from our snow day fun! 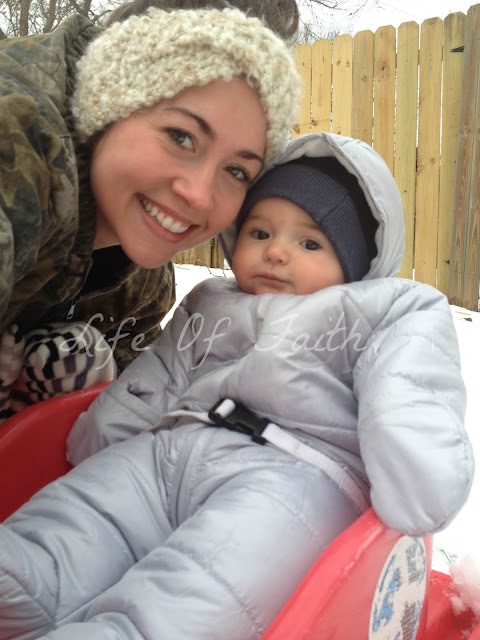 I bought you a snow suit that actually fit and you had a BLAST riding around in that sled! The Minnesota in me loved our snow days and from the looks of it, you did too! 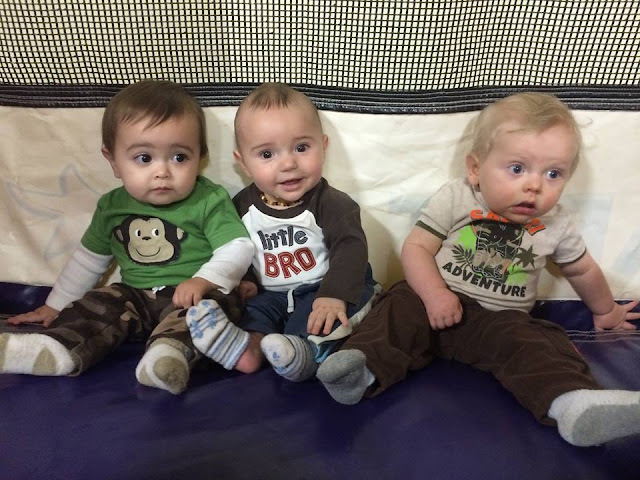 You don't know it yet, but you have been blessed with some awesome buddies just months apart from you! Three of my best friends had baby boys within a few months of you being born. I'm so glad you will have them for friends...and I'm also preparing myself for the trouble you guys will make! Big sisters are the best, especially yours! She loves to read to you, tickle you, play with you and just love on you every minute of the day! 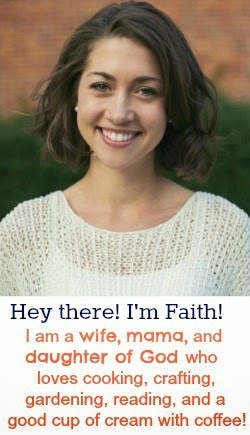 You love the attention and have started laughing at her crazy antics...which only encourages her to be crazier. I don't know what I'm going to do with you two! 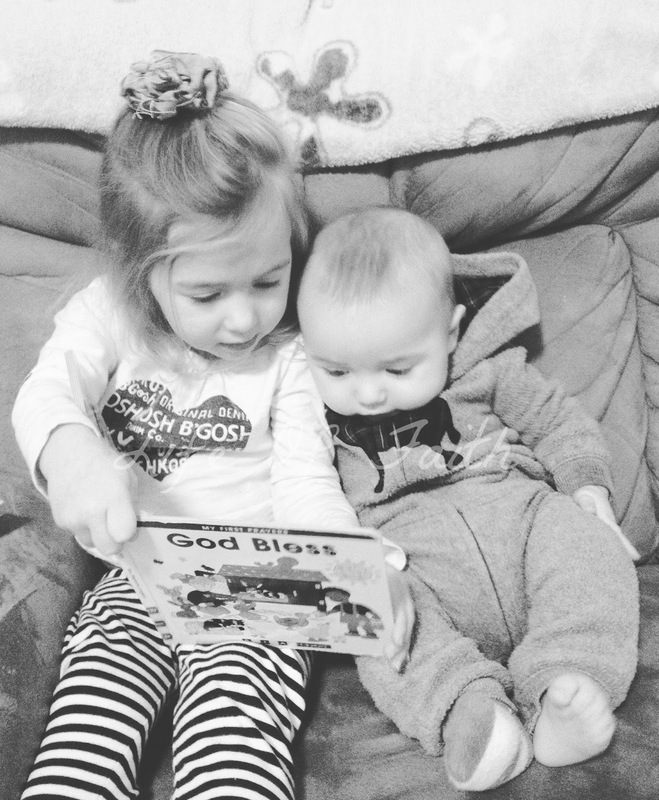 My heart melts seeing the two of you bond together over books, giggles and playtime. I hope the two of you always appreciate how special it is to have a sibling! 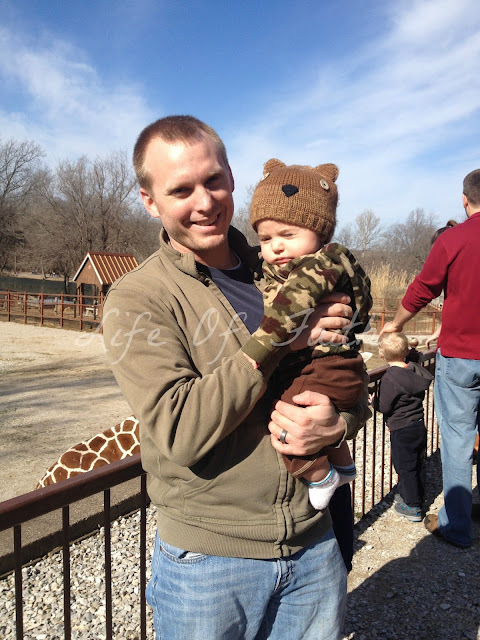 We took advantage of the warm days in February and spent one Saturday morning at the Zoo with daddy! I know you aren't aware of it yet, but you have an amazing dad who loves you so much! I'm pretty sure he is just counting down the days until you are old enough to go fishing with him. 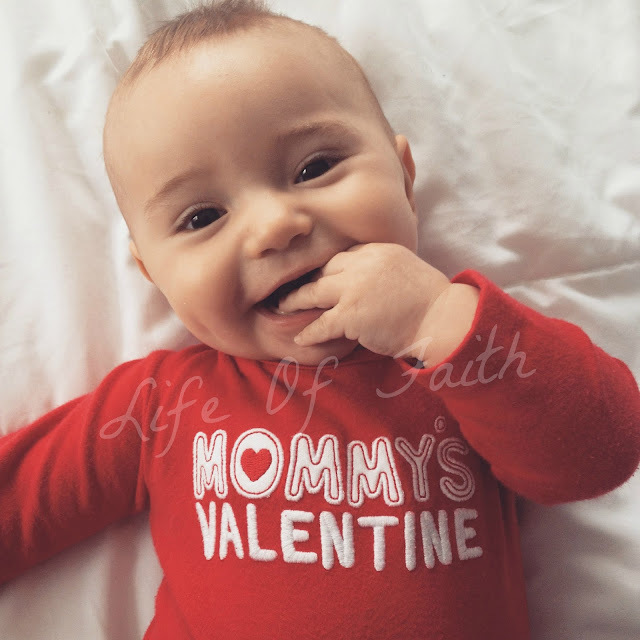 This year was my best Valentines Day yet with this sweet little guy to love! Your sissy is helping me write this for you and she wanted me to tell you that she loves you :) Of course you know that with the hundreds of kisses and smush hugs she gives you, but just in case you ever wonder! You have been such a sweet blessing to all of us with your smiles, squeals and sweet spirit! 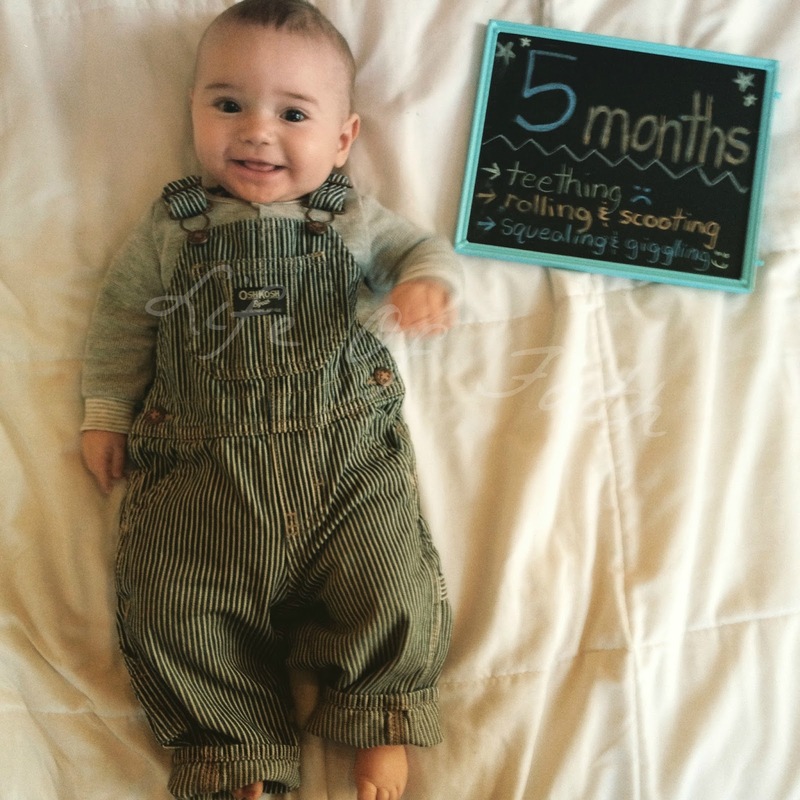 This month you have been a little fussier with some acid reflux and teething, but it has made us savor the happy moments even more! We are constantly thanking God for you and every month that passes we are grateful for how healthy you are contrary to the doctor's diagnosis. You are a miracle, and we are so excited to watch God work through your life as He has already. We love you so very much! This little man is so adorably cute! You are one lucky momma to have 2 sweet adorable little babes to call your own. So great to hear that big sister has adjusted well & loves on little brother so much!! Love the picture of the 3 little boys all together, so cute! You moms sure do have your work cut out for you in the future!! 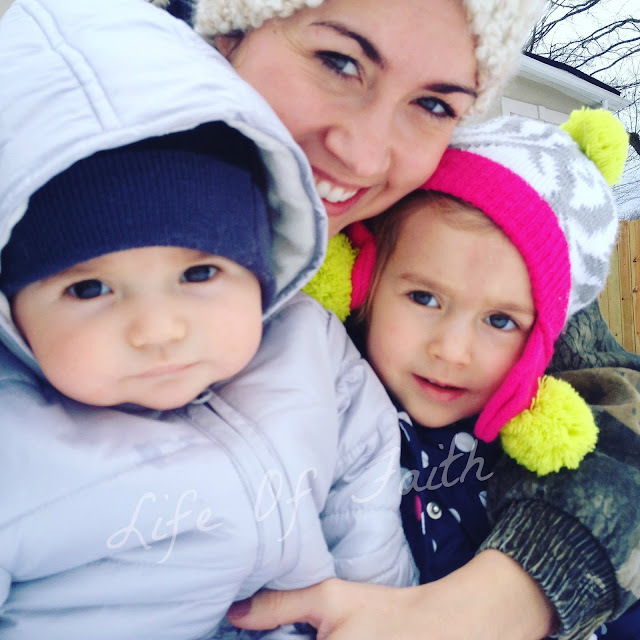 I recently discovered your blog and love it! Your family is so cute :) Have a lovely day. So, so sweet. He's so cute, and he and his sister are adorable together. 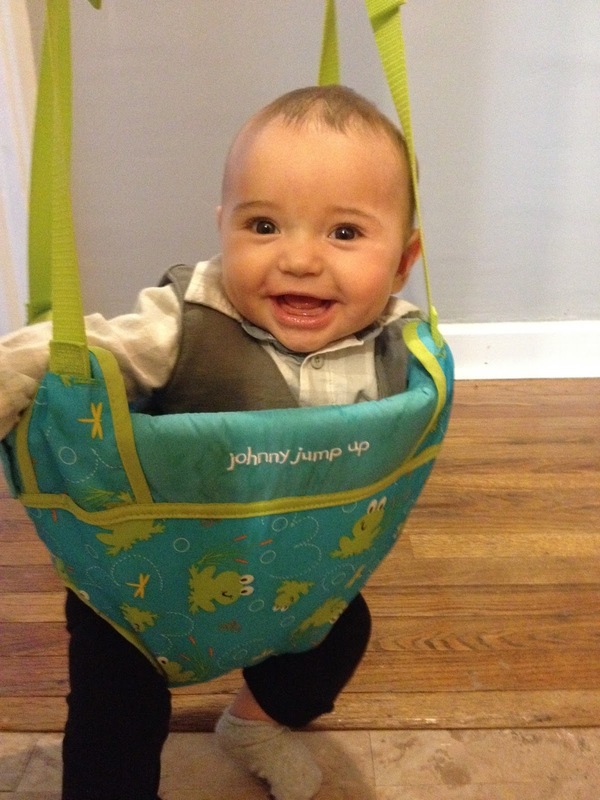 Hang in there with the teething - it's no fun!! Happy 5 months, little man! Oh is he a handsome guy!